When you realize how much of a beloved icon John Taylor truly is, it's almost too late. No longer part of the smiling bleached-blond madcap pop quartet that first burst onto the scene at the dawn of the '80s, he's now a longstanding member of a much-respected band who has ridden out the peaks and gutters of the industry with the tenacity of someone holding on for dear life. 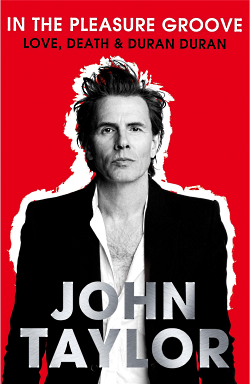 There is no "right way" to earn longevity in the business, but I reckon you might find out a few of his secrets if you pick up a copy of his new book In The Pleasure Groove: Love, Death & Duran Duran. Learn how a shy, floppy-haired boy named Nigel ascended to the highest mountain of pop stardom, came crashing down, and then climbed back up again with a little more wisdom and humility. Be on the lookout for it October 16th!